Have you come down with World Cup fever yet? It is an affliction that tends to afflict the non-football crowd just as much as the football crowd every four years. Inevitably there can only be one World Cup winner and from 32 nations competing, 31 will be feeling the pain at some point in the next three weeks or so. In England that pain has often been tinged with frustration as the latest batch of high profile footballers crash out, crushed under the weight of national expectation. This year however, the players are better prepared than ever before for the mental challenge that is the World Cup. Current manager Gareth Southgate has bought heavily into the potential benefits brought by positive mental attitude and adversity training – the mind as much as the body being key to winning knock out games. Why it has taken quite this long for Team England to focus on boosting their psychological strength is something of a mystery, considering similar psy-op campaigns have visibly transformed the fortunes of the English rugby team and British cycling in recent years. Thus, England’s players have been ‘adversity training’ with commandos on the one hand and ‘opening up’ to Dr Pippa Grange, their in-house psychologist (who eschews the benefits of unity of body and mind), on the other. If nothing else, this change of England attitude perhaps helped to propel them to a winning start in the competition. Inhabiting the right head space is useful for a team, but is everything for a competitor in an individual sport such as athletics or tennis. It’s this kind of mental strength that is also very much in evidence with those who project themselves effectively when presenting – whether that be in an auditorium or playing to a TV audience. Positive thinking has long been linked with success and a term we have become familiar with is Positive Mental Attitude (PMA). It is characterised by banishing negative or defeatist thoughts and finding a way to excel in the face of adversity. Looks great on paper, but keeping that positivity bubbling when the odds seem stacked against you is a skill and one that needs working at. The good news is that positive thinking is also something that can be learnt. Many of those I coach along the way to becoming a more effective presenter confess to a fear of failure and ridicule amongst their peers. Part of overcoming these fears is learning to detach from those darkest thoughts (frequently besetting us during bedtime hours) and accepting the reality – the chances of having your keynote speech heckled or laughed off stage (as long as you are not a politician) are probably less than that of being eaten by a shark (1 in 264.1 million by the way). Sometimes in life we make mistakes. When we do, those around us tend to feel sympathy not scorn, and the act of recovering from a mistake will often endear you to an audience. We’ve all been there. That’s how we learn to be better at what we do after all. Which brings us back to England. In the past they have not been forgiven for their mistakes (particularly by our rabid tabloid press) and have suffered as a result. 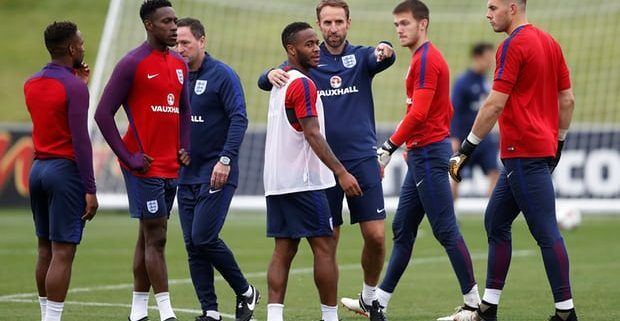 The team will inevitably make mistakes but maybe this time they have the right tools to turn them into positives and if they can do that, then maybe, just maybe we’ll get to see the three lions roar a little louder than they have for a long time! Pitching to Win – New Workshop Brexit. Give to us straight!